It’s a beautiful Friday afternoon here in Tucson and we’re getting ready for a great weekend here in Oro Valley. Do you have your plans set already? If not, I thought you might be interested in some fun things going on that will get you outside to enjoy this incredible weather. One of the largest and most captivating arts festivals found anywhere in Southern Arizona is soon to make a return to Oro Valley when the Southern Arizona Arts & Cultural Alliance (SAACA) hosts the Spring Festival of the Arts this Friday and Saturday, Feb. 25 and 26. The free event, which will take place at the Oro Valley Marketplace, 12155 N. Oracle Road, will feature dozens of artists, exhibitors and food vendors – both local and visiting – which collectively offer a sample of the art, culture and cuisine for which the region is well known. Sunny skies and dry conditions continue through Sunday, although temperatures are still a little on the cooler side, hovering around the mid-60s. About the only thing that could put a damper on the next few days is if your garage door suddenly quit working… At least if that happens, you know who to call (right?!?!) 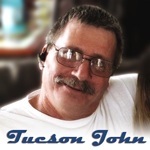 Call John’s Garage Doors at (520) 989-0381 and I’ll take care of you!